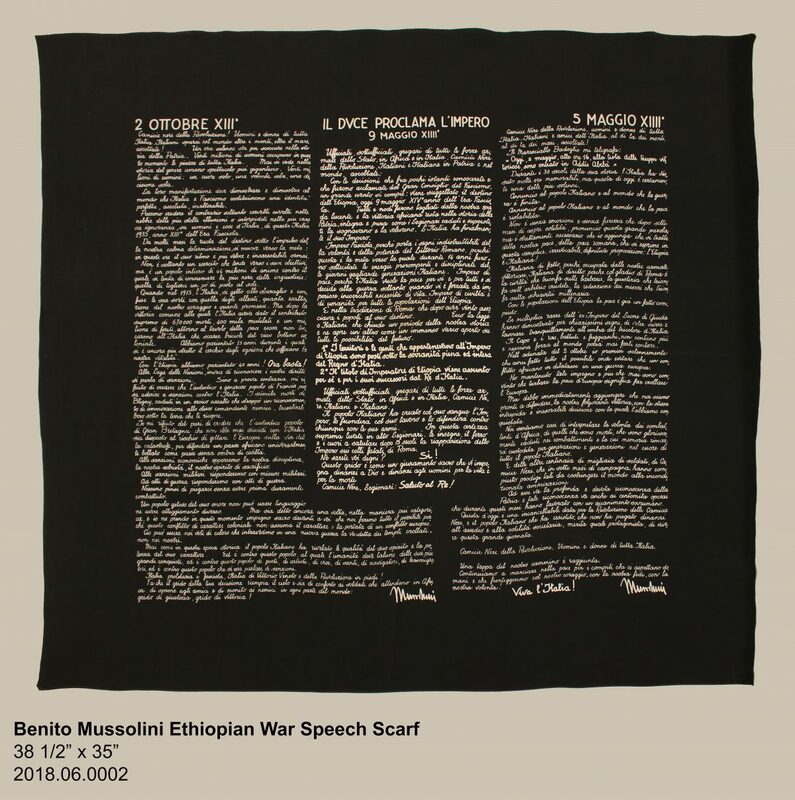 This silk scarf commemorates three speeches presented during the Second Italo-Ethiopian War by Italian Prime Minister Benito Mussolini (b. 1883 – d. 1945). In the speeches, Mussolini compares the burgeoning Italian Empire with Ancient Rome. 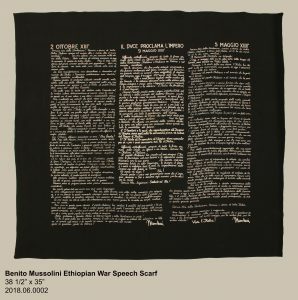 The speech from October 2, 1934 (left) announces the war with Ethiopia, the one from May 9, 1936 (center) declares Ethiopia’s annexation, and the one from May 5, 1936 (right) proclaims the occupation of Addis Ababa by Italian troops. These Italian actions were significant in the events leading up to World War II as Italy directly violated agreements with the League of Nations, of which both Italy and Ethiopia were members. This scarf is part of the Valente Collection and was donated by Ruth Bystrom.